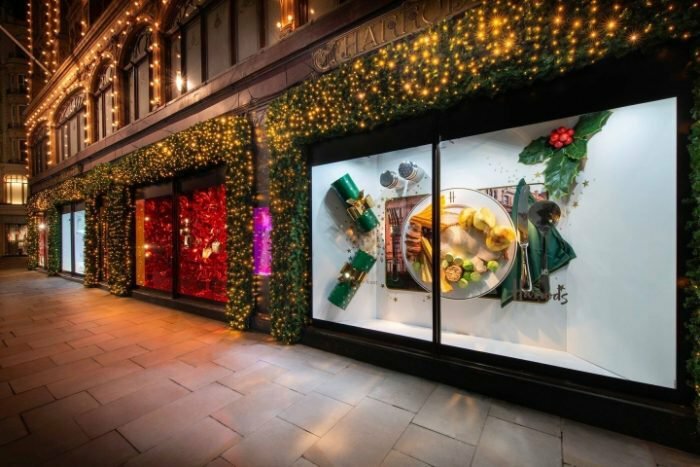 12 months of planning, 5 months of build, 100 plus people, 6 days to install and 3 days to perfect the final touches – this is the time it took to achieve our magical festive windows. 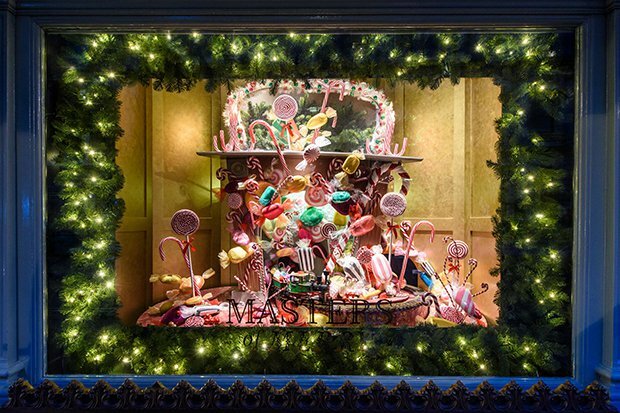 This year Harrods’ famous Christmas window display will take customers on a festive journey, featuring a number of different scenes across a 24-hour period. 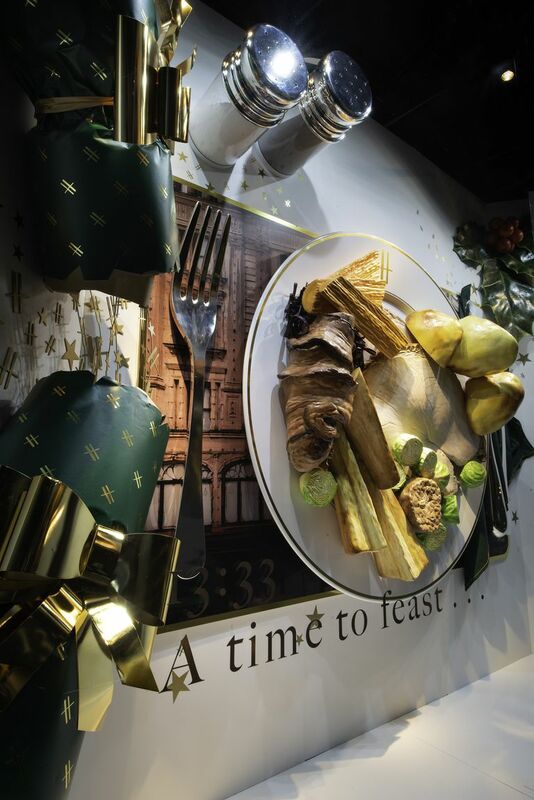 The tableau showcases familiar festive rituals with a luxury Harrods twist: unwrapping gifts with Bottega Veneta, a giant Christmas dinner featuring food from Harrods’ iconic food halls, The Dolce & Gabbana Leftover Fridge and party time with Elie Saab. ‘We wanted a concept that was relatable and recognised globally,’ says Alex Wells-Greco, Creative Visual Director at Harrods. From unwrapping gifts and the Queen’s speech, to a Christmas feast and a party. The exhibition windows will also play host to a sensory spectacle from Dom Pérignon in November, and a Loewe celebration in December. 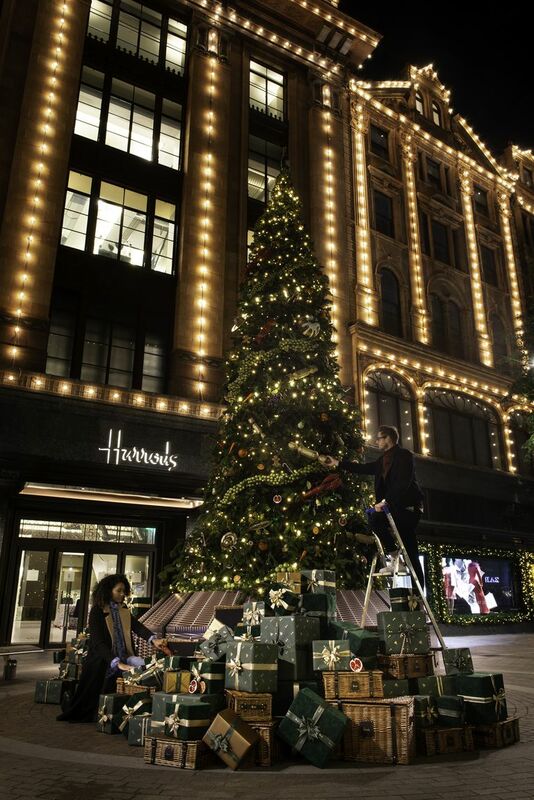 There’s also an eight-metre Christmas tree on Hans Crescent, sourced from Surrey and adorned with more than 100 oversized gourmet delights – including cranberries, candy canes and Brussel sprouts – inspired by family feasting. 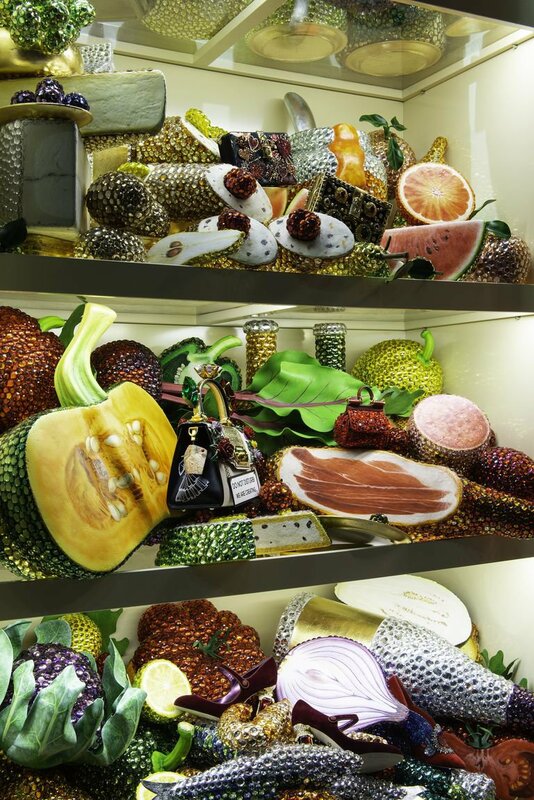 Food is a common thread that runs through the veins of Harrods and Christmas. To coincide with Fantastica, Harrods will also celebrate the opening of the Fresh Market Hall – the second stage of The Taste Revolution.